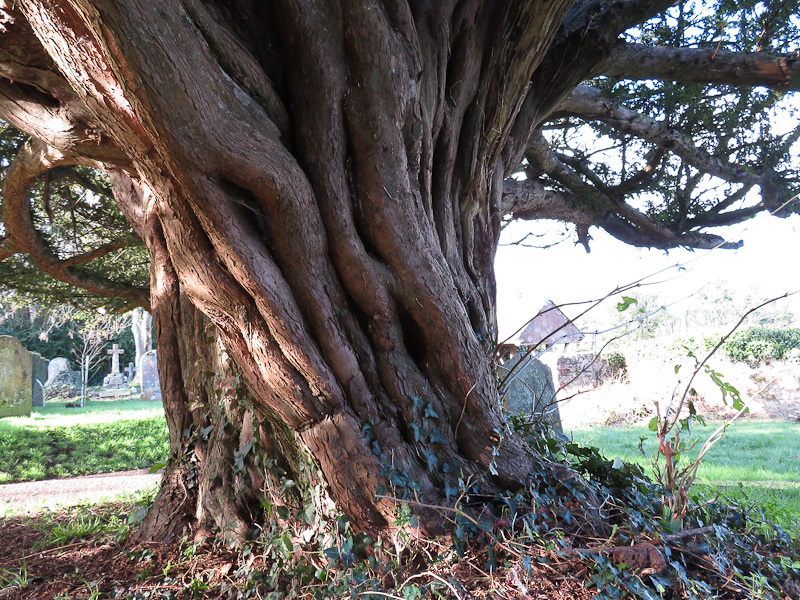 The Common Yew growing beside the tower of St Gregory’s Church, Dawlish, has recently been added to the online gazetteer maintained by the Ancient Yew Group. The entry is divided into two sections: the first supplies info on the location while the second provides details of the tree itself. The girth of the tree at the narrowest point is 11 feet 4 inches (345cm) which means it doesn’t qualify as a veteran – that category is reserved for trees known to be over 300 years old or with a girth of over 12 feet – but it’s been included in the Unclassified section as it’s a very fine specimen and there are currently no other records for Dawlish. I hadn’t attempted to establish a planting date because I’d assumed this information would be lost, but apparently plantings were sometimes recorded in the churchwarden’s notes, so finding out if these survive has now been added to my ‘to do’ list.